Squad Security booked a series of half page ads in City Security magazine to create brand awareness to a corporate market. 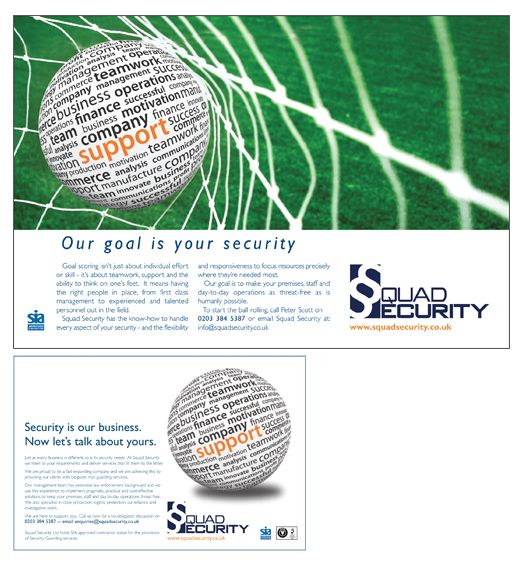 The Ad had to look different from the typical security companies Ad as a half page invariably would appear alongside a competitors half page Ad on the same page..
To stand out, we created an eye catching and different graphic style design with key messages that Squad Security can support customers security needs. 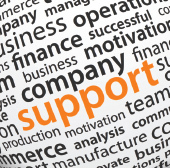 In 2014 we adapted this theme making it more topical with the footballs World Cup in Brazil. Squad now have an effective campaign of Ads that creates more brand awareness because of the messages and distinctive look.